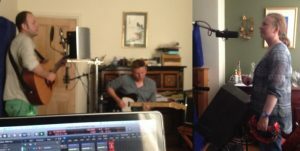 I just tracked 10 songs in 2 hours with one-take wonders Chaotic Friends in singer / guitarist Jim Cooper’s dining room. The room was pretty lively so I deadened it a bit with a few blankets and acoustic panels, and pulled the ol’ fig-8 trick on Jim’s vocal & acoustic guitar mics to minimise spill. 6 mics, first pass, mixed the next morning and up on Soundcloud the day after. Rehearse more / edit less in full effect. 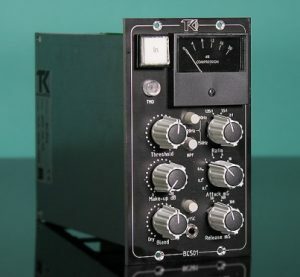 It was also my first chance to mix into my new TK Audio BC501 bus compressor (fave setting for this material – 2:1 ratio, 10ms attack / auto release, 2dB-ish reduction, 150Hz HPF & THD in). I think I’m going to like it.